Knowing how to scale a tractor trailer with a loaded trailer is an essential skill for a trucker. The ‘how-to’ of balancing the axle weights on a big truck and trailer is pretty straight forward. 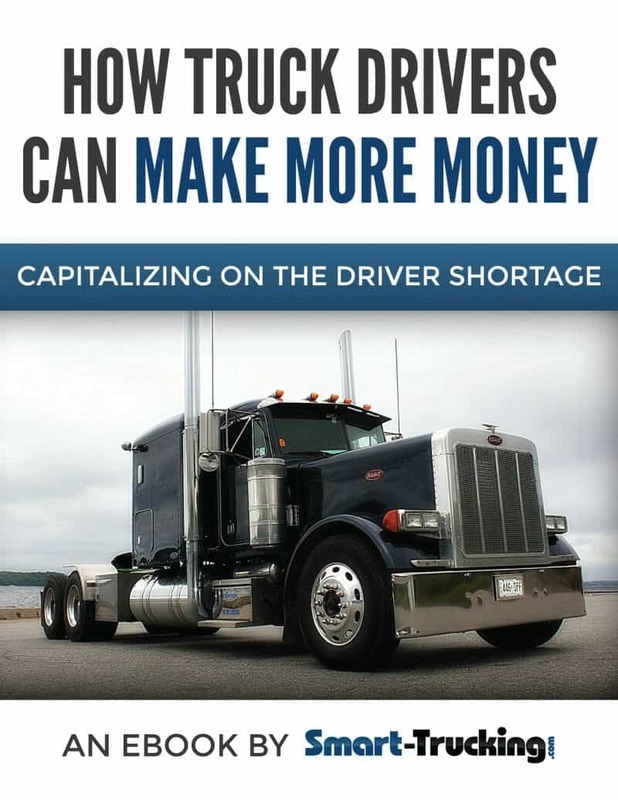 However, knowing how to scale a truck properly is one of those things that many truckers have difficulty with, usually because they’ve never been taught the process, in their driver training program. 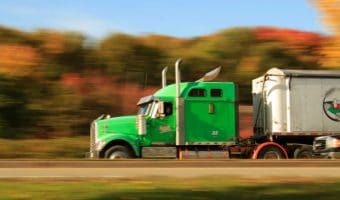 For some reason, truck driver training schools and programs don’t seem to spend enough time on this important skill, so it’s pretty common for a trucker to have difficulty balancing the weight of their load. Scaling isn’t a difficult or complicated process. However, it does take some practice to get the hang of it. 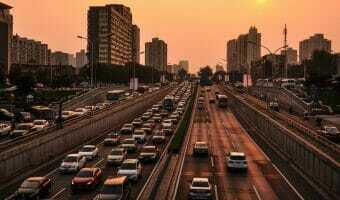 Related > Company Sponsored Driver Training Programs – Is This Type of Driver Training For You? Here’s a simple step by step outline of the process of scaling a truck with a tight (closed) tandem axle trailer. Before beginning, lock the trailer brakes. Load the steering axle first. 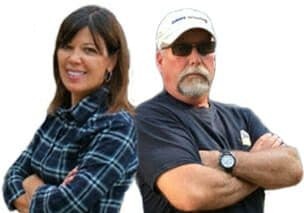 Unlock the fifth wheel, dump the tractor airbags. 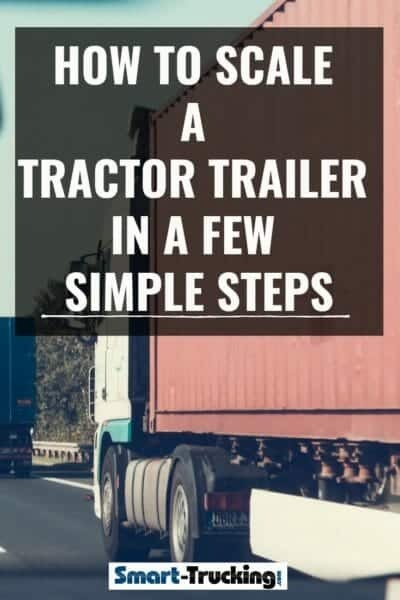 Cautiously back up the truck toward the trailer until the tractor is as close to it as it can safely be without affecting the truck’s ability to turn. Be sure to get out of the vehicle and visually check the distance. When you’ve determined the distance is safe and correct, lock the 5th wheel in place, inflate the tractor air bags and raise the landing gear. With the trailer brakes still locked, release the slider pins underneath the trailer and slowly back up with it’s wheels locked so the axles are sliding further underneath the trailer. Sliding the trailer wheels further under, decreases the drive axle weight and increases weight on the tandem axles. Generally the rule of thumb, is about 400 lb. per hole on the trailer slider. Scale the truck and adjust accordingly. If the weight on the trailer axles is too heavy, these wheels need to slide backwards to the rear of the unit until they reach 34,000 lb. on the scale. Do not slide and adjust on the scale plate. 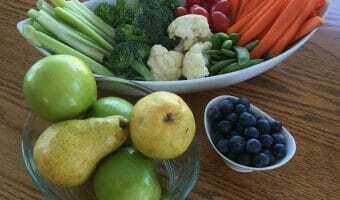 Pull away from the scale plate and make adjustments, then rescale. When scaling, we like to load the steering axle and tandem trailer axles to maximum when possible, leaving some room for extra wt. on the drives, to allow for the weight of taking on fuel. The weight of fuel is calculated at about 7 lb/gallon…it’s a nice easy number to do the math in your head. This formula will help you calculate how much weight to load on the drives, before you fuel. In the winter months, it is advisable to leave a bit more weight on the drives to help with traction when climbing hills and to prevent spinning out. Always do adjustments on flat, dry pavement, to prevent locked axles from sliding and to ensure slider pins reset correctly, after locking. The process varies according to the number of axles, as the various states and provinces dictate their axle weight allowances. Taking the time to learn the proper procedure to scale a tractor trailer is well worth it. 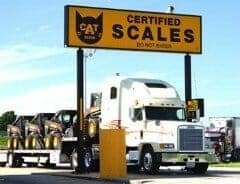 Knowing the scaling process, will save you time and keep you out of trouble at the highway scales…. and prevent NASTY fines from the authorities. Just a little FYI: For truckers who own their trailers, your budget allows for it, consider a spread axle trailer. Scaling a spread axle trailer with a 10’1″ spread or greater, is much easier balancing the weights on a tight tandem axle unit. Allowance for these wagons is 20,000 lb per axle. They are quite slick.